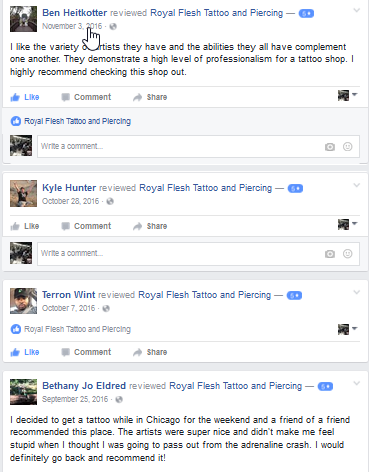 Making our clients proud of their Body Arts is our Highest Aim. 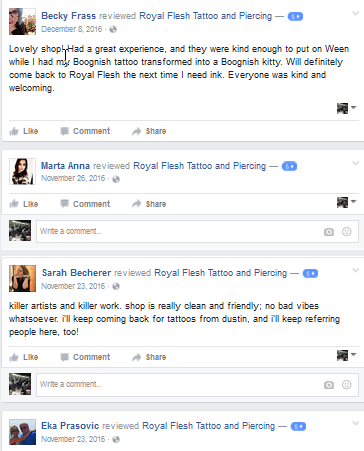 Check out Reviews for Royal Flesh from around the web. 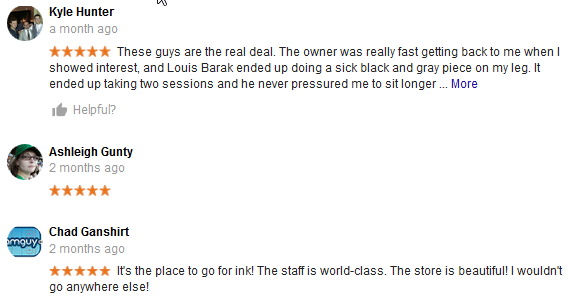 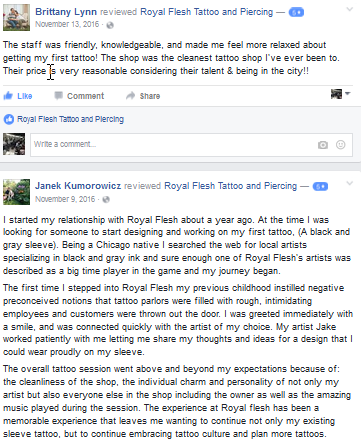 Want to ask one of our Tattoo Artists or Piercing Specialist a Question? 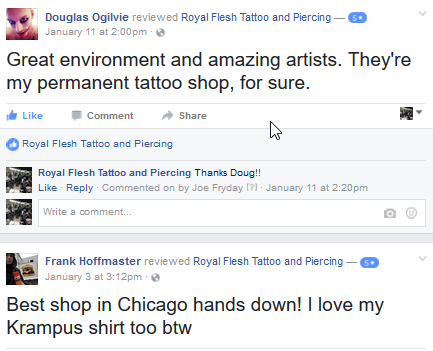 Royal Flesh Tattoo and Piercing is rated 5 out of 5 stars by having more than 200 satisfied customers in Chicago and surrounding areas!